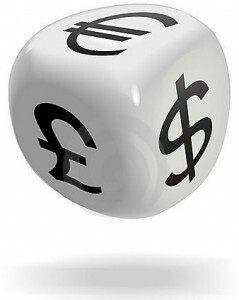 Home » General Interest » Where Did Some of the World’s Currency Symbols Come From, Like the $ and £ ? The key currency symbols of the World’s biggest currencies are instantly recognizable. In the this article we look at the etymology of some of these symbols. This sign is simply a capital letter L, written in an old-fashioned handwriting style and with one or two crossbars to show that it is being used as a symbol or abbreviation. The L stands for the Latin word libra, the name of a Roman unit of weight, which also gave rise to the abbreviation lb for a pound as a measure of weight, and to the French word livre. The original British pound was designed as one pound of pure silver. The current leading etymology holds that ‘$’ was originally derived from an abbreviation for pesos, meaning ‘weight’ in Spanish. In the middle 1700s the peso was traded in all regions under Spanish control, from Southern California to South America, and the sign was commonly contracted as ‘ps.’ Many historians believe that the dollar sign we know today was born from the bad handwriting of merchants who allowed the line ‘p’ to fall in front of the s.
However we may never know the true origin of the dollar sign. The yen was adopted as Japan’s official currency in May, 1871. Like many other countries, the roots of the currency lie in silver. The yen was originally designed to weigh approximately 24.26 grams of pure silver, or 1.5 grams of pure gold although today yen coins are made of aluminum. The word “yen” is actually pronounced as “en” in Japanese. Yen translates to “round object,” describing the shape of coins used by other countries. The “Y” used in the yen symbol may have been adopted due to the propensity of foreigners to pronounce the word “en” with a “y” preceding it. The symbol for the Japanese yen was probably invented by analogy with the pound and dollar symbols, as it is a capital Y with one or two bars across it.